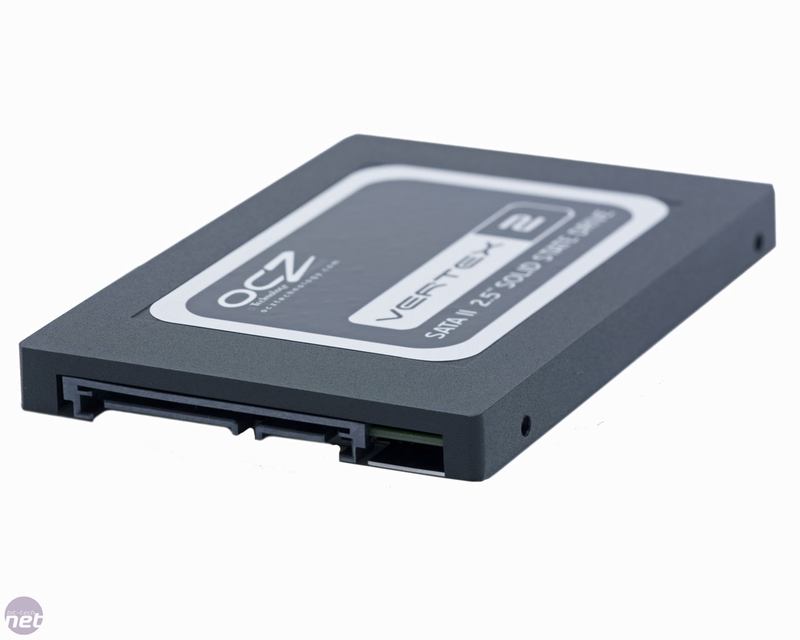 The original Indilinx-powered OCZ Vertex was one of the best Indilinx SSDs available, thanks greatly to OCZ’s strong relationship with Indilinx itself, allowing OCZ to be first with firmware updates. 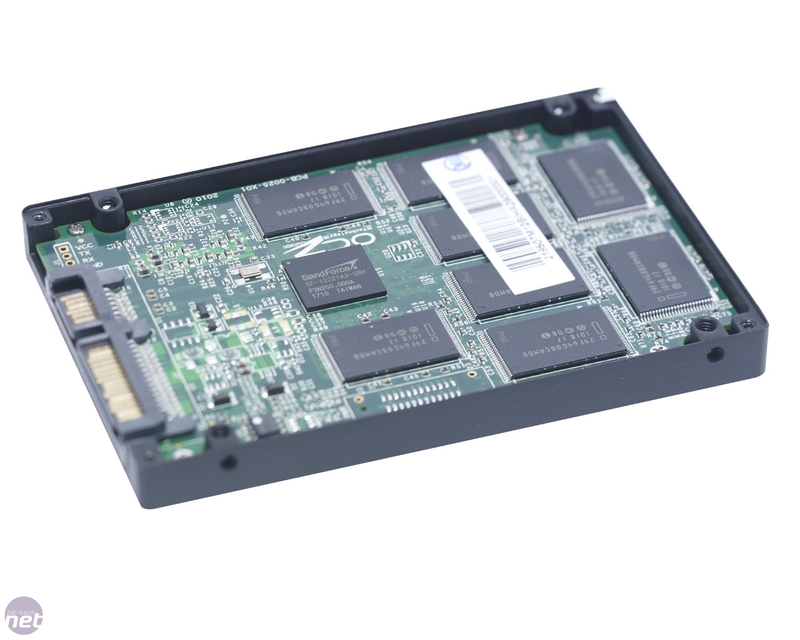 OCZ has a similar relationship with SandForce in regards to its drive controllers, gaining OCZ a timed exclusive on the SF-1500 firmware that boosts the write speeds of SandForce-based drives. We saw this in action when we first looked at the prematurely released 100GB SandForce drives, with the Vertex 2 100GB delivering random write speeds 45 per cent faster than the standard SF-1200 firmware-equipped drives in our tests, despite all the drives using otherwise near-identical hardware. With the release of the 120GB, less over-provisioned SandForce drives, SandForce has taken the wraps off of the SF-1500 firmware and allowed all its drive partners to sell the accelerated random write firmware, as evidenced by G.Skill’s Phoenix Pro that we looked at last week. While there are few real-world tasks that take advantage of the extra performance, you’d sooner have a drive with the SF-1500 firmware than without if all else is equal. 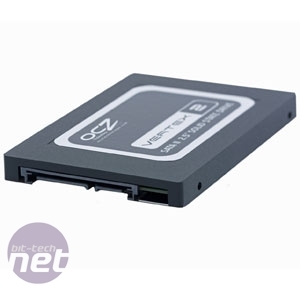 OCZ still maintains its ‘special relationship’ with SandForce though, and continues to be the first to the market with firmware updates for its array of SandForce drives. While these typically include more bug fixes than performance improvements, it’s reassuring that when you drop £250 on an SSD, you get any updates as soon as they’re available. As such, the Vertex 2E (the E differentiating this 120GB model from the 100GB drive) ships with firmware v1.11, the most up-to-date version of the SF-1500 SandForce firmware. As with all the other 120GB SandForce SSDs, the drive beneath the sticker is identical to the 100GB model, with 128GB of 32nm Intel NAND flash memory and the exact same cache-free SandForce controller chip as every other consumer-level SandForce drive out there. The contentious SandForce over-provisioning of the Vertex 2 (and all 100GB SandForce drives) has been cut from 35GB to 15GB for the Vertex 2E, resulting in a formatted capacity of 111.69GB (remember that SSD NAND capacity is expressed in binary, with 128GB of NAND packing 137,438,953,472 bytes of data). Sadly it appears as though those that bought the early 100GB Vertex 2 models are stuck with the smaller capacity though, with no sign of any update tool to adjust the drive’s level of over-provisioning. 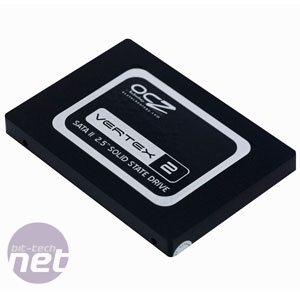 OCZ isn’t just leading on the firmware front, as at £249.99the Vertex 2E is also the cheapest 120GB SandForce drive we’ve found in the UK, working out at £2.28/GB. Meanwhile, the 128GB Crucial RealSSD C300 is on offer for only £230.29 (inc VAT), and with its 119.2GB of formatted capacity, this works out at £1.93/GB. While this looks to be much better value, in our experience you’ll need to use a SATA 6Gbps add-in card such as the £40 HighPoint Rocket 620 to see all of the C300’s performance, though it’ll be fine on a SATA 3Gbps port if you don’t want to add to the upgrade price. 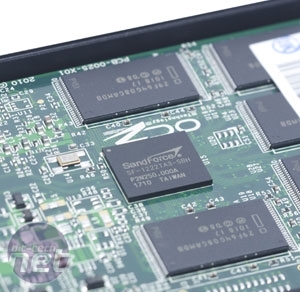 The ONFI 3.0 NAND flash standard has been announced, potentially doubling transfer rates. 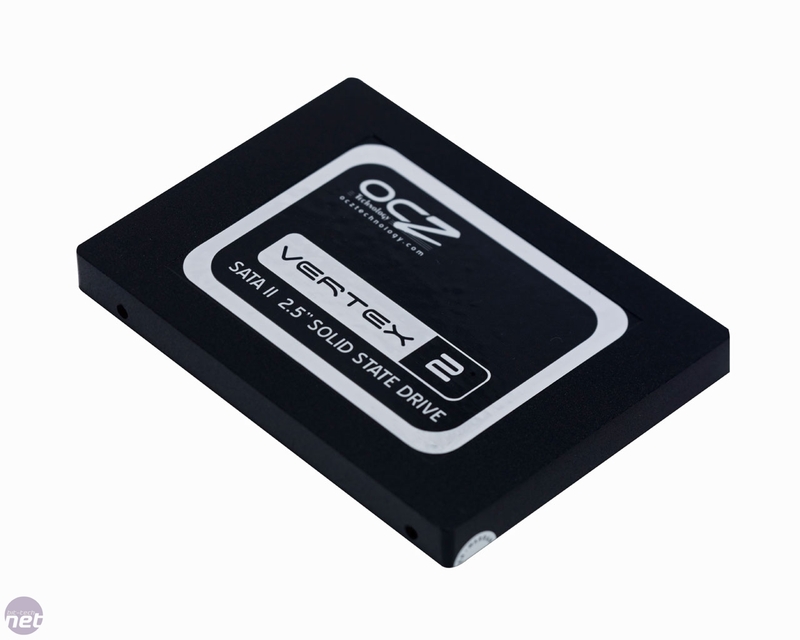 OCZ has announced a new line-up of Vertex 3 Pro and EX SSDs, featuring a next-gen SandForce controller.